This travel roll for jewelry is a quick and easy project, proven by the fact I made it the night before we left for family vacation! 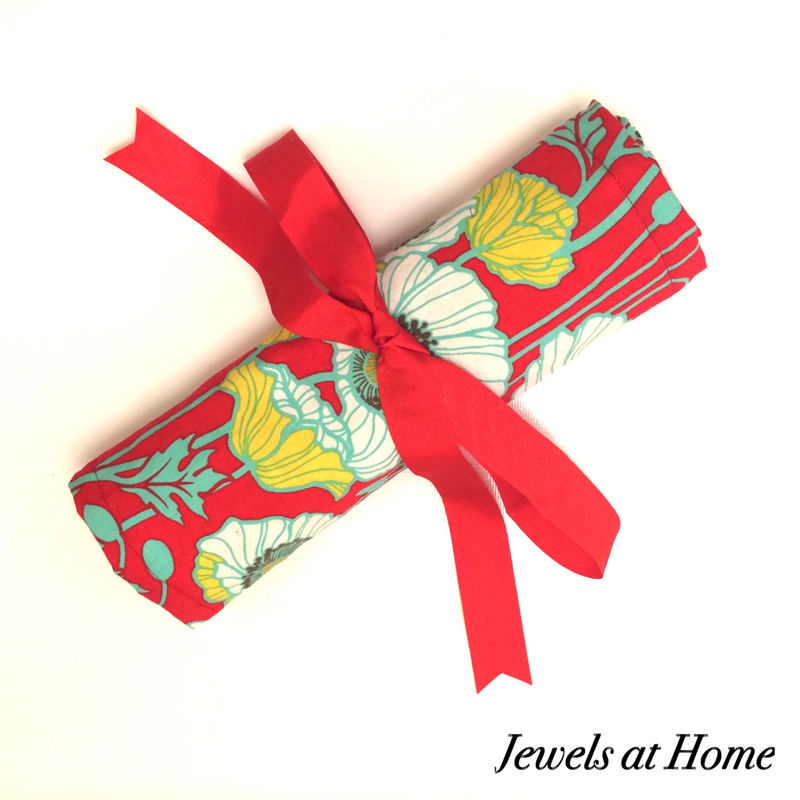 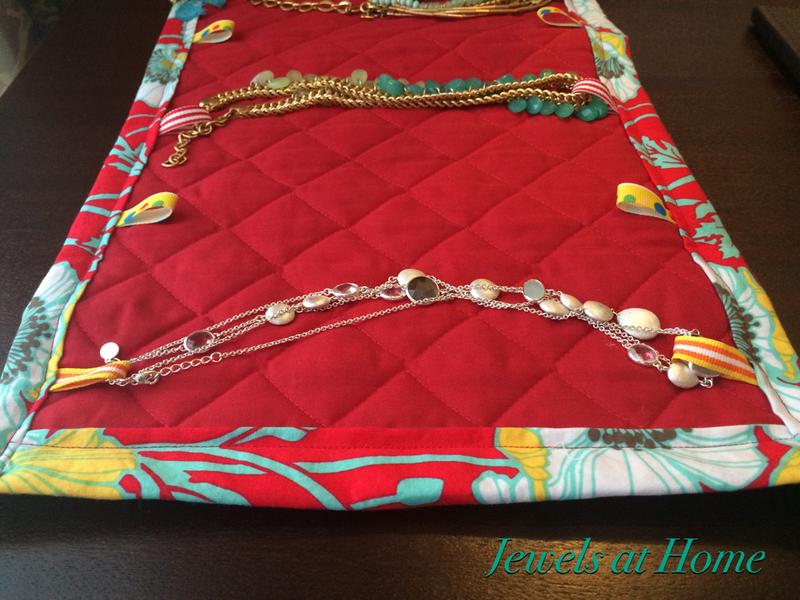 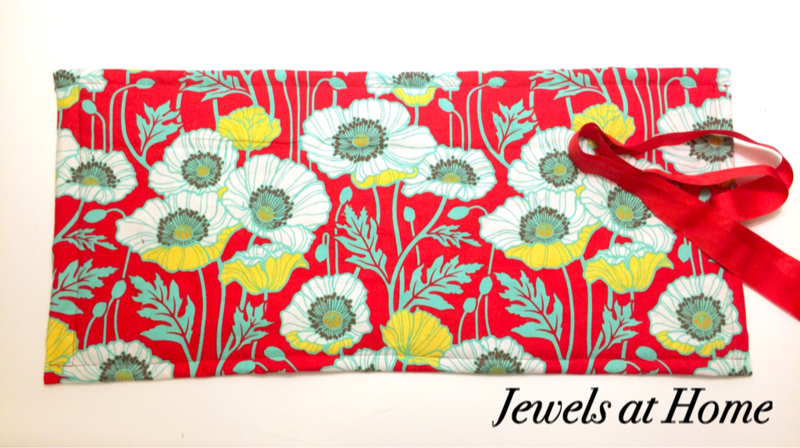 My jewelry roll is perfect for packing necklaces and bracelets, which is what I usually wear. 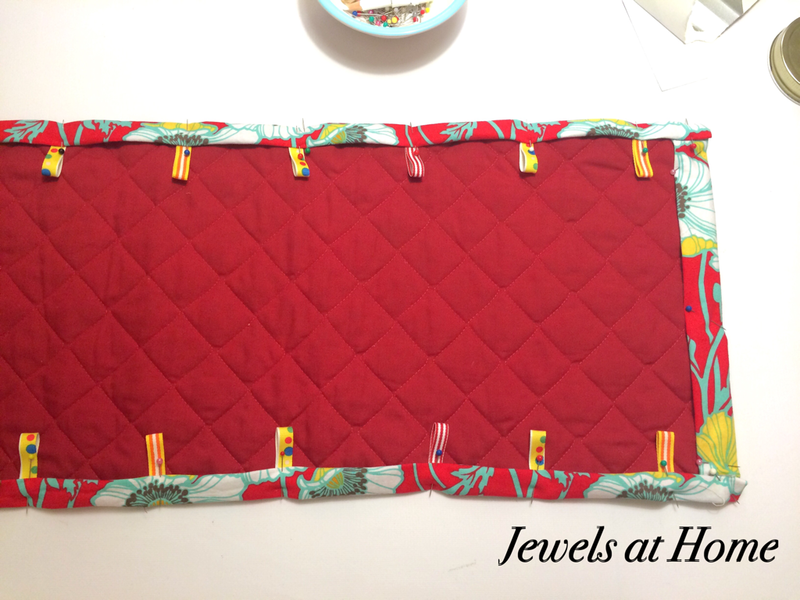 I cut the narrow grosgrain into four-inch sections to make the loops. 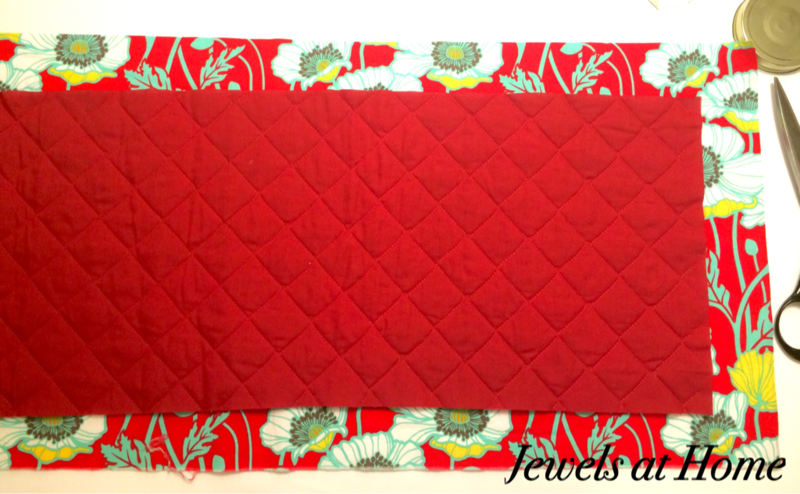 Next, I lay the small quilted material on the wrong side of the outer material. 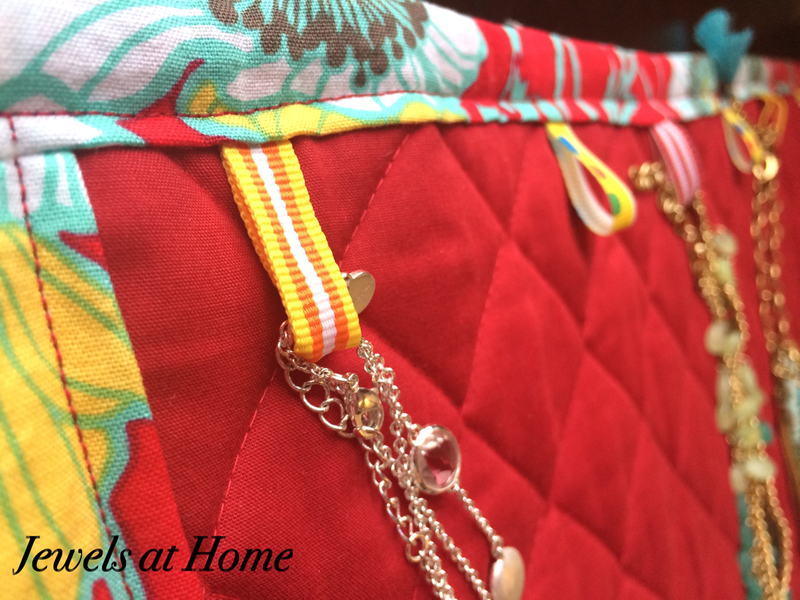 I folded over a border on all sides, and tucked the loops under the hem, pinning them in place. 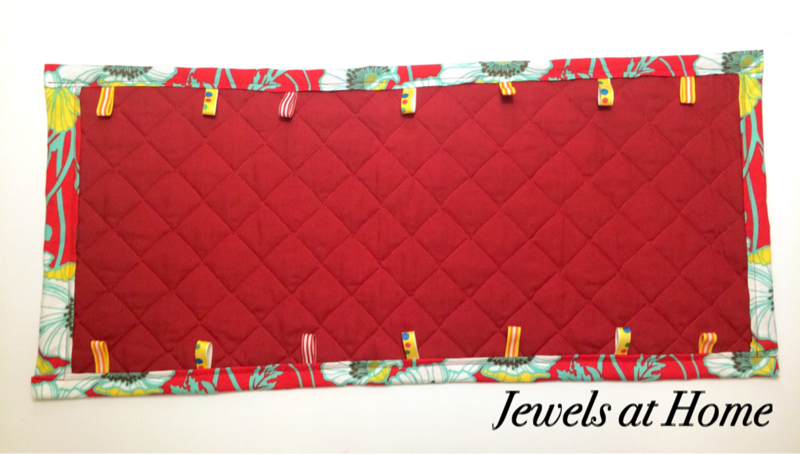 I stitched down the border, which also secured the loops. 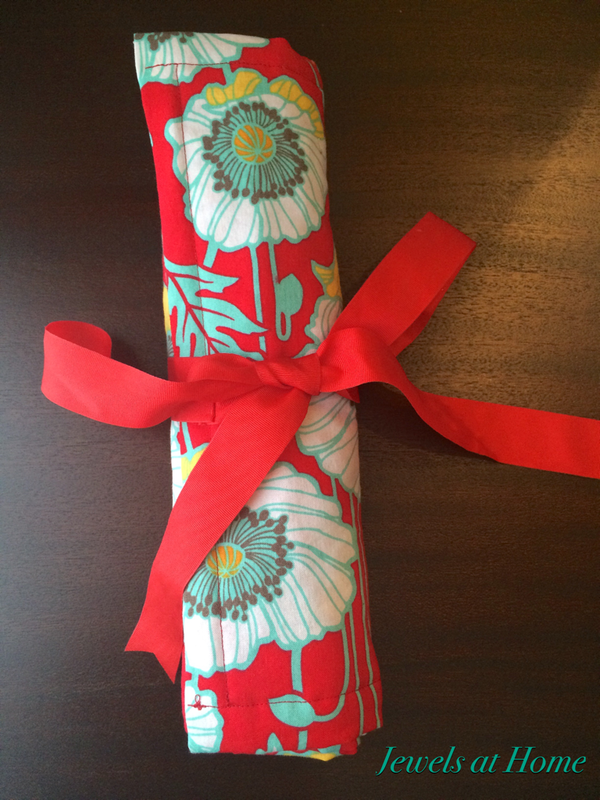 To make the outside tie, I folded the wide grosgrain in half and sewed it to one end of the roll, on the outside.